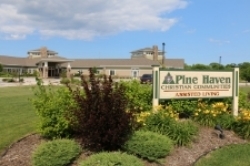 Pine Haven Christian Communities has been a Christ-centered, safe haven offering quality, compassionate care to the elderly in Sheboygan County since 1950. We offer seniors a range of flexible, innovative services and living options including: Supported Independent Living, Rehabilitation, Assisted Living, Assisted Living with Memory Care, Long-term Skilled Nursing Care, and Respite Care. Since 1950, Pine Haven Christian Communities has been a Christ-centered, safe haven offering quality, compassionate care to the elderly in our community. We offer seniors a range of flexible, innovative services and living options on three campuses in Sheboygan County, including: Supported Independent Living, Rehabilitation, Assisted Living, Assisted Living with Memory Care, Long-term Skilled Nursing Care, and Respite Care. 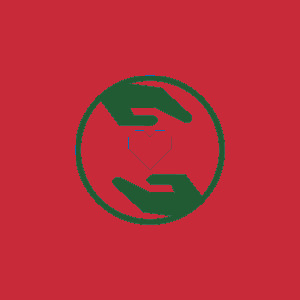 Pine Haven Christian Communities lives by our mission, vision and values. Our staff provides our residents "Servant hearts, caring hands" - becoming a family to those who live here. After all, we are serving in Christ's name - and we are all brothers and sisters through Him. Pine Haven Christian Communities has three campuses - our original Giddings Avenue campus in Sheboygan Falls, our Haven Drive campus in Sheboygan Falls, and our Pine Drive campus in Oostburg. Please come, take a tour, and see why Pine Haven is the place seniors want to live. And if you're strapped for time, go to our Haven Drive campus page, and you can take a "virtual" tour of the campus and see all we have to offer!